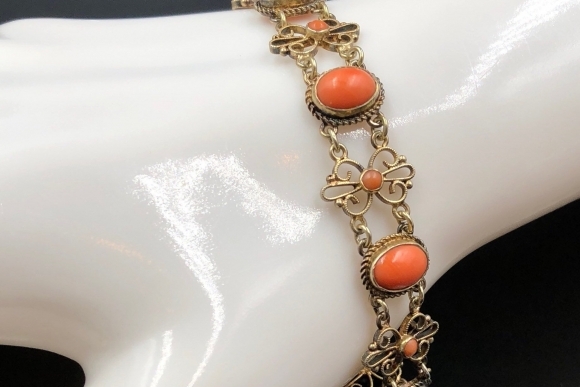 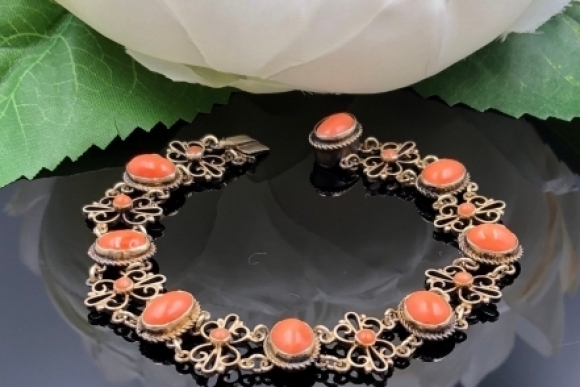 This beautiful antique natural coral bracelet is bezel set with eight oval coral cabochons (8mm x 6mm) alternating with eight small round coral cabochons (2.3mm) set in an open scroll work designs. 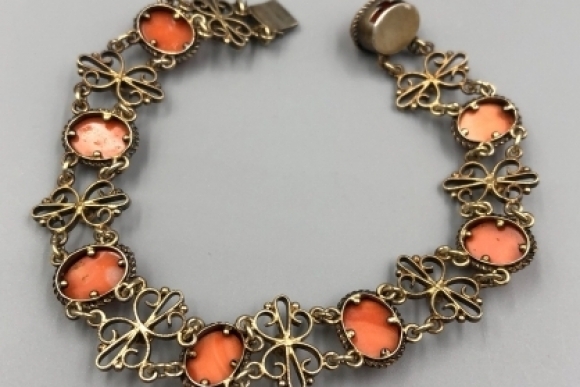 The metal is gold vermeil (gold over silver). 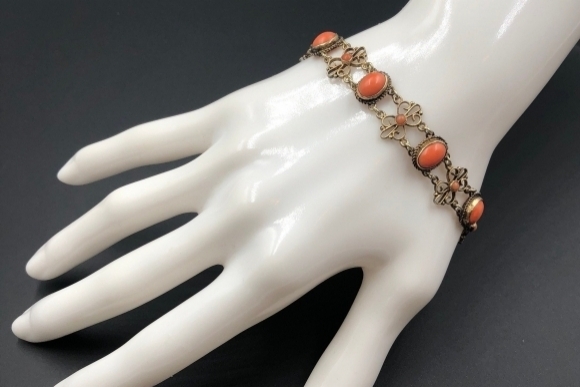 This beautiful bracelet is secured by a hidden box clasp. 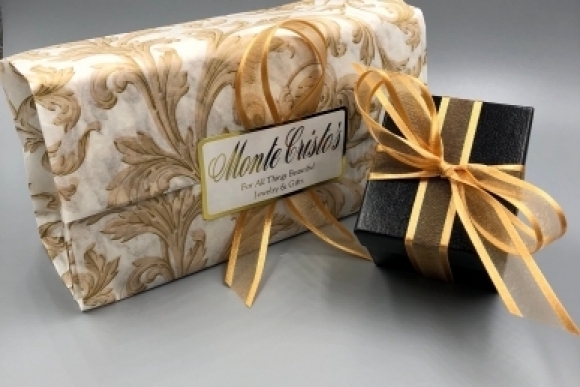 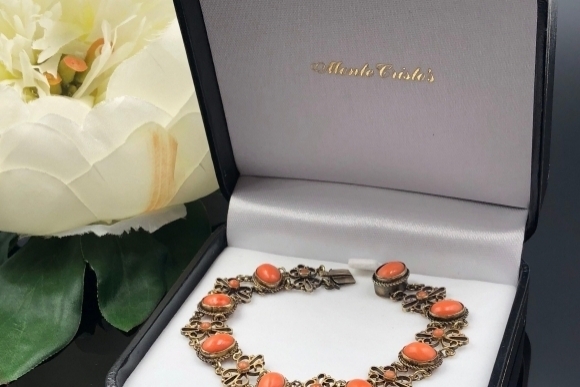 Coral is the traditional gift for the 35th wedding anniversary. 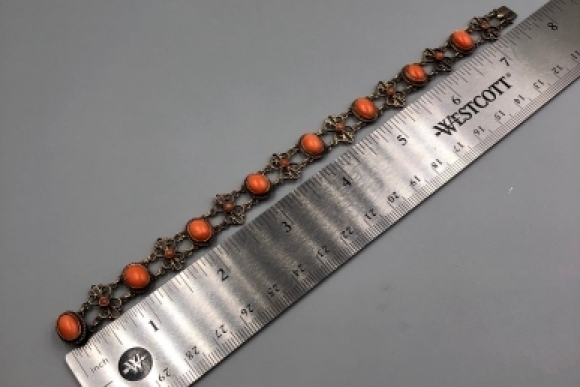 The bracelet is approximately 1/2" wide and 7 1/2" long, and weighs 11.6 grams. 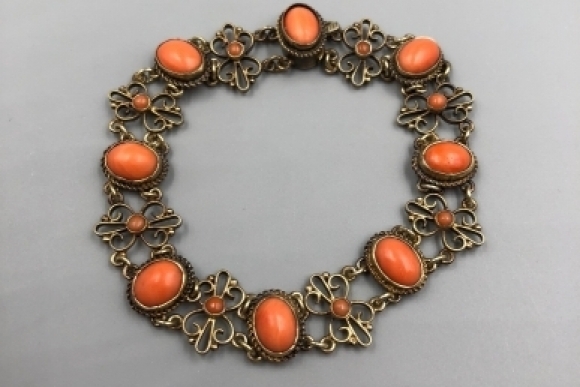 Circa 1800s to early 1900s.